Being able to walk out your back door and pick a handful of fresh blueberries is a fantastic reality! From growing 2 or 3 bushes in your backyard, you can have beautiful, tasty berries at your fingertips throughout the whole summer. You could make muffins, pies and jams or eat blueberries with your favourite dessert. If you’re pushed for space, some of the smaller varieties grow well in large pots on patios or in more confined spaces. As well as through our online shop, we also sell to home gardeners through various Australian nurseries and via our Melbourne farmers’ markets. 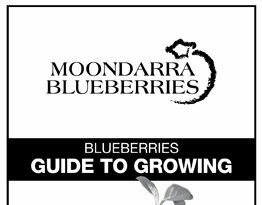 A basic guide on how to grow blueberries in your backyard.